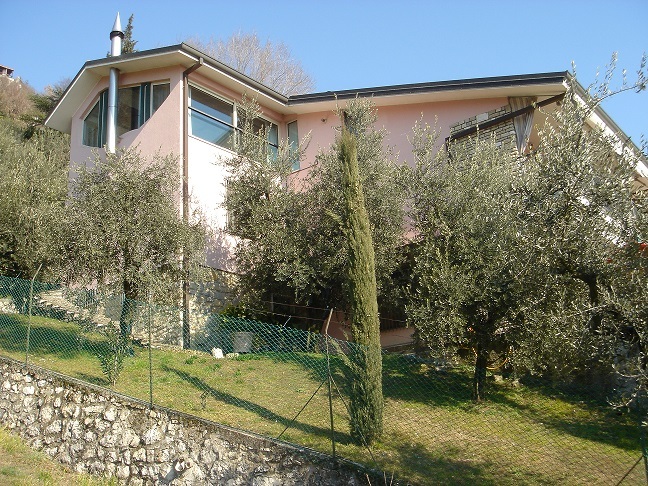 This private family villa is located in the historical town of Predore on the banks of picturesque Lake Iseo. With a private pool and unbeatable views of the lake below, this three storey villa property has potential to be a fantastic family home. Currently divided into three luxurious apartments there is an option to recombine the building into a single premises. The property also features 1600 square-metres of well-kept grounds, filled with 40 olive trees as well as access to a double garage. Located on the southern end of Lake Iseo, the villa is within driving distance of Lake Garda, Venice and Verona – to name just a few. This property is currently on the market at €985,000. The small town of Predore is known for it’s quiet, characterful streets. There have been homes in the area as far back as 3rd Century, so there’s plenty of history to discover. Predore hosts a colourful and bustling market every Wednesday and is home to a variety of popular restaurants. While located on the temperate side of Lake Iseo, Predore is only an hour’s drive from the ski slopes at Montecampione.